If you are researching pest treatment techniques for drain flies, it is likely that you have recently discovered that you have an infestation of these common nuisances. 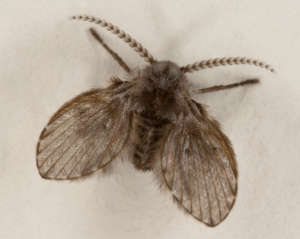 The drain fly is often referred to as a “Moth” or even a “Sink Fly”. Drain flies are attracted to the organic-based matter that is found within the moist regions of kitchen sink drains and drains located within bathrooms. Once they discover this matter, they will live within it and even breed within the organic-based substances that line the walls of drains. While considered to be a nuisance as they most often infest kitchens and bathrooms, they are not considered to be harmful. In fact, because of their preference to drains, the flies have become a very important part of the ecosystems that are dependent upon water. In general, the pest treatment for drain flies is similar to the pest control for flies. In this guide, you will learn about these flies and how you may succeed in eliminating these pests from your home. In order to determine if you must administer pest treatment for drain flies, it is important to ensure that you do, in fact, have an infestation of the creatures. The first step is to identify them by appearance and behavior. These flies are very small. They are either tan-colored or light grey-colored. The bodies are very short and the wings are shaped like leaves. The insects have a fuzzy appearance because they are covered with small hairs. When looking at the wings, you will notice that they are large in comparison to the body size. Drain flies may be present during the day; however, they are, basically, nocturnal. They prefer habitats that are exceptionally moist. Their flying pattern is very distinct. They have a difficult time with flying and will fly in a pattern that appears to be irregular, jerking while flying. Adult flies within the infestation will often be observed resting on walls and ceilings. These insects are not dangerous. They do not bite and they do not transmit diseases. They are, simply, a nuisance. You should first start by cleaning the drains within your home. If you have an infestation in one, you may as well clean all of them. Start by cleaning the sink and the outside of the drain, thoroughly. Next, use a pipe brush that is composed of metal in order to clean out the grime on the inside of the drain. Once the pipe brush has eliminated a lot of the grime within the drain, pour a cleaning gel designed for drains down into the pipe. Make every effort to coat the sides of the pipe. Once the cleaner gel has been permitted to sit inside the pipes for several hours, pour a large amount of hot water down each drain to flush away remaining debris. Now that the eggs have been removed from the drain, you must eliminate the remaining adult drain flies. Simply take a spray bottle, add a half cup of borax to one cup of hot water and mix. You should then use this solution to spray directly on the remaining drain flies and in and around the drain in which they reside. You may also create a trap for the flies. This is a top-rated pest control for flies treatment. You simply fill a bowl with equal parts of white vinegar, sugar, and water. Then, add about 10 drops of standard dish soap and mix. Leave the bowl either beside or down into the sink in which the drain flies are located. The insects will be drawn to the substance and being that they are unable to swim, they will be eliminated.